Every year I take a social media break from Thanksgiving to the New Year - but after a disastrous January filled with dog illness, chaos, redo, and the sinus infection from Mt. Doom, I decided to start my year with Losar (Feb 5) the Tibetan Lunar New Year. This year will see a number of changes in the website and facebook pages - so click around and keep up! 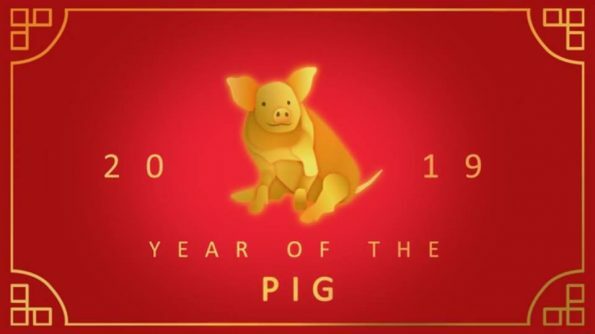 This is the year of the earth pig - a sign of good fortune and joy - may it be so for all of us. This happened over the spring/summer as I was taking a social media break, and it rolled out over time - so it's not really a "new" anymore - but I have been given a great opportunity to be a columnist and featured writer for The Tattooed Buddha. You can see my articles on this site and/or check out the good folks and good writing from all the TTB writers. One Blog To Rule Them All! *By "All" - I mean everything in my world, not the interwebs. My personal blog - which is more-or-less random thoughts on anything and updated about as frequently as snow in the Bahamas. My writing blog - an entire catalog of writing tips, encouragements, traumas and thoughts I used for coaching at Heron's Wing. My Dharma/Buddhist/Humor Blog - the most recent attempt at a consistent blog that went off the rails when I hit the 3/4 mark of my latest novel and had to shut everything down to stay sane/focus/finish the damn book! And...in true Kellie fashion - I couldn't decide so I put them all together in one Frankenstinian electronic paradise where I can write and share the things I love most. The Bottom Line features Buddhist/Life essays (the main blog), memes, writing articles, writing humor (Ya'll, we gotta laugh), random fun, and latest news on my professional and personal endeavors. Cushionwise.com and KellieSchorr.com both direct to The Bottom Line, which will hopefully showcase me as a writer, a Buddhist, and most importantly, a human being full of passion, laughter and words. So many words. You can subscribe to the main blog, or follow The Bottom Line or Kellie Schorr, Writer on facebook (depending on your interest). TBL also has a Pinterest page for all those fun memes, and a twitter for a quote of the day. Kellie Schorr, Writer offers my writing tips instagram, and personal twitter - which is usual much ado about hashtags. The reality of any career in the arts is that clicks, follows, and likes are important. What is more important, is that you follow content you like, get something from it, and do whatever you want to do with it. So, click accordingly.